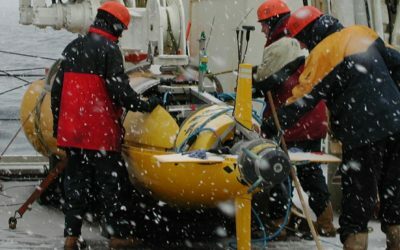 AUTOSUB 3 autonomous underwater vehicle being retrieved after observational missions beneath the floating tongue of Pine Island Glacier. Thinning ice in West Antarctica is currently contributing a substantial and increasing volume to global sea level rise, and scientists have identified Pine Island Glacier (PIG) as a major source. As part of a series of investigations to better understand the impact of melting ice on sea level, an exciting new discovery has been made in the Amundsen Sea. Using Autosub (an autonomous underwater vehicle) to dive deep and travel far beneath the PIG’s floating ice shelf, scientists working on the research vessel NB Palmer made ocean and sea-floor measurements revealing a submarine ridge rising 300m above the sea floor. Pine Island Glacier was once scraping across this underwater ridge, which slowed its flow. However, in recent decades it has thinned and disconnected from the ridge, allowing the glacier to move ice more rapidly from the land into the sea. This also permitted relatively warm seawater to flow over the ridge and into a widening inner cavity, more than doubling the ice shelf area exposed to the corrosive ocean. As the melting increases the glacier accelerates, drawing down the inland ice and moving its vulnerable grounding line (where the ice begins to float) deeper into the interior of the West Antarctic Ice Sheet. “The discovery of the ridge has raised new questions about whether the current loss of ice from Pine Island Glacier is caused by recent climate change or is a continuation of a longer-term process that began when the glacier disconnected from the ridge. Observations beneath Pine Island Glacier West Antarctica and implications for its retreat is published in Nature Geoscience. 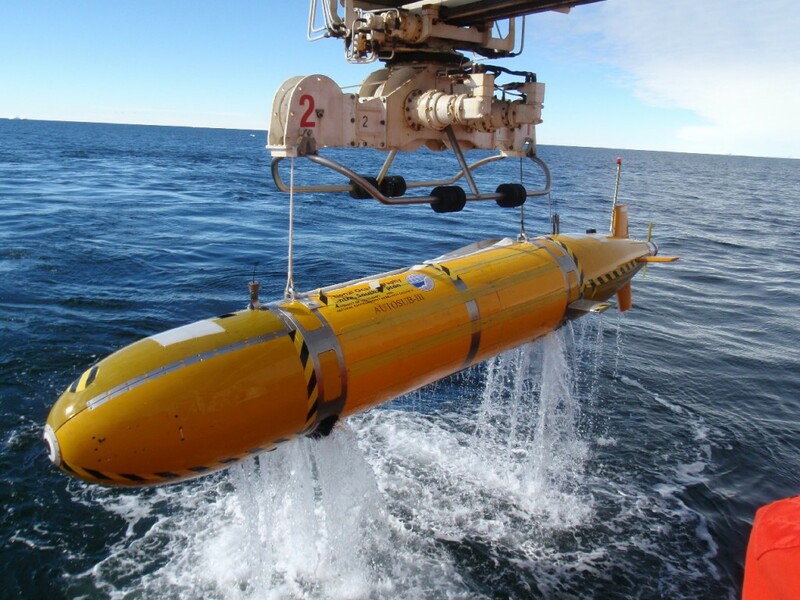 NOC brings together into a single institution NERC-managed activity at the National Oceanography Centre, Southampton, and the Proudman Oceanographic Laboratory in Liverpool. NOC will work in close partnership with the wider marine science community to create the integrated research capability needed to tackle the big environmental issues facing the world. Research priorities will include the oceans‘ role in climate change, sea-level change and the future of the Arctic Ocean.